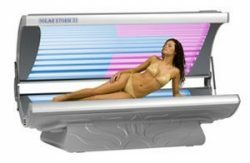 The XS Power Vertical Solution 30 utilizes a variety of specifically engineered features to exploit the sun’s natural tanning power, delivering the perfect bronze tan. 30 extremely high efficient reflecting lamps produce 3000 watts of advanced bronging technology making this standup truly state of the art. 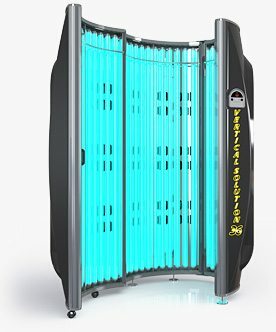 The exclusive vertical tunnel design provides the special “No Contact” blue print providing complete 360° tanning capacity, guaranteeing the most even tan from head toe. The open style cooling feature and space saving design requires less space than many home tanning systems giving you the freedom to tan where you want. 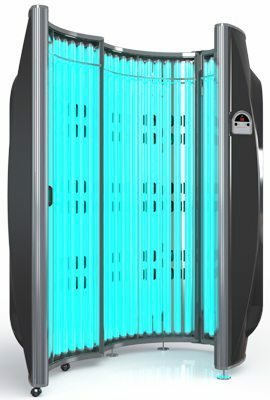 Utilizing eco-friendly lamps snd specially designed, energy efficient, ergonomic elements this standup can be used for home or commercial use!The XS Power Vertical Solution 30 is engineered to exploit the sun’s natural tanning power, delivering the perfect bronze tan in just 10 minutes. 30 extremely high efficient reflecting lamps produce 3000 watts of advanced bronzing technology making this standup truly state of the art. 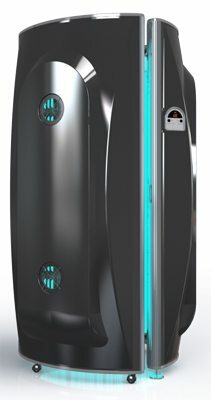 The exclusive vertical tunnel design provides the special “No Contact” blue print providing complete 360 degree tanning capacity, guaranteeing the most even tan from head to toe. 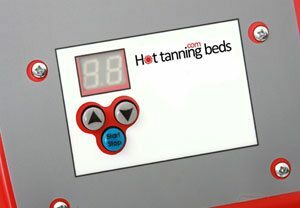 The open style cooling feature and space saving design requires less space than many home tanning systems giving you the freedom to tan where you want. Utilizing eco friendly lamps, and an ergonomic design this standup can be used for home or commercial use.